This great quote was once said by a famous Beatle, but it is something that Is truly powerful. Love is the emotion that can allow anything and everything to enter your life. If you fill yourself up with love you don’t allow room for anything else. Make love your only option when thinking about yourself and about others. Send out love to everyone that crosses your path and watch as your life becomes filled with love. Then see how you are able to attract amazing things to you. 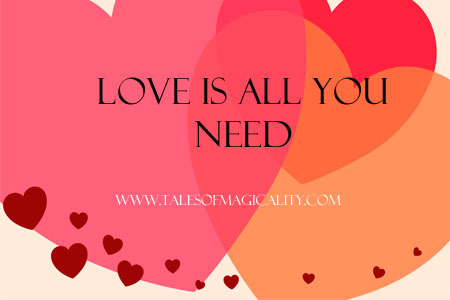 Love is really all you need.